Back in print for the first time in over a decade, this landmark collection features writings from well-known writers and activists such as Pauline Hopkins, Ida B. Wells, and Langston Hughes, along with gems from rediscovered writers. 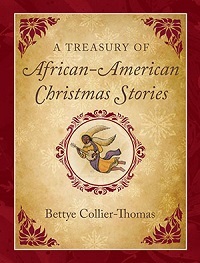 Written by and about African-Americans and containing little-known stories and poems dating from the late nineteenth century to the 1950s, this collection reflects the Christmas experiences of everyday African-Americans and addresses familial and romantic love, faith, and more serious topics such as racism, violence, poverty, and racial identity. This new edition will feature the best stories and poems from previous editions along with new material including “The Sermon in the Cradle” by W.E.B. Du Bois.